Home / African fashion news / Fashion Market Survey / Fashion News / featured / Ghanaian men / Ghanaian women / Jumia Ghana / News / SURVEY REVEALED: MEN DOMINATE 2/3 OF ONLINE PURCHASES IN GHANA- CHECKOUT WHAT THEY BUY! SURVEY REVEALED: MEN DOMINATE 2/3 OF ONLINE PURCHASES IN GHANA- CHECKOUT WHAT THEY BUY! Market research carried out by Jumia Ghana, the online shopping giant; found that men make 2/3 of online purchases in Ghana. They also found that men buy the majority of products under every category, including Beauty and Perfume, and Fashion. The question is WHY? Women in Ghana have access to the Internet, smartphones, and disposable cash, so why is it that they are not shopping online as much as men are? 1) Men love toys & come running to Jumia for the great prices. While the men are searching for their well-priced phones, laptops and other gadgets on Jumia, they come across the great selection of fashion items. Women too are attracted to such gadgets but are also attracted to a large variety of items. They may not have discovered that these items can be found in one location with online shopping apps and websites. 2) Ghanaian men treat their ladies. Men are known for their generosity. They like to treat their women. 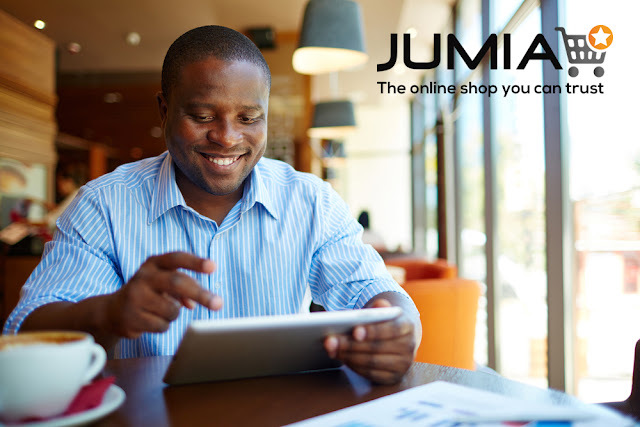 Kofi, a Jumia customer said, “half of the items I buy online, I buy for my wife. I can surprise her with a gift anywhere she is in Ghana, even when I am away when I order online”. Isn’t that so sweet?! Men are often less picky than women when shopping. If they find something that they like that seems like it will fit, they can buy it. For women, it is sometimes difficult to predict the quality of a product without seeing it in person, especially clothing. Additionally, women need details about an item before buying it. They read the reviews and descriptions about the texture and fit, and reviews of why some have liked it and why others have disliked the item before buying. Women even consult their friends who then have to go through the same process before determining if the item is worth buying. A way around this problem for them is to check the items out in the stores and then return to the online portals to buy the clothing. Online, the item is often 20-30% cheaper there than it is in store. These may all be contributing factors to the lack of women shopping for clothing online. The best advice for anyone selling anything online is to provide as much objective information about the item as possible. Having pictures and brand names is nice but they do not tell about the experience one may have with the product, something that Jumia.com.gh does well. What do you think? Why are Ghanaian women less active in online shopping?